NTS GAT Subject Test schedule and dates 2019 are available on this page. NTS has announced Graduate Assessment Test GAT Subject schedule for the year 2019. The students who want to get admission in any PHD program in any Pakistani university have to pass NTS GAT Subject Test. The duration of the Graduate Assessment Subject Exam is two years only. Its a paper based objective type test, which is divided into two sections i.e subject section (70%) and general section(30%). 15 percent of general section is related to English (verbal) while remaining 15 percent is related to analytical reasoning. Candidates with 18 year of education (M.Phil or MS) can appear in NTS GAT Subject Test. You can also appear in NTS GAT Subject exam to improve your previous score. Your score remain valid for two years. Students who want to get admission in any PhD program in NTS associated Pakistani universities should appear in Graduate Assessment Subject Exam to fulfill the admission criteria. But take this thing is mind that you will also have to qualify other specified criteria of universities for getting admission in PhD program. This exam is taken in the cities of Faisalabad, Islamabad, Karachi, Lahore, Multan, Peshawar, Quetta, Rawalpindi, Bahawalpur, Dera Ghazi Khan, Gujranwala and Hyderabad. 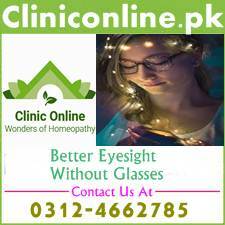 Bahawalpur, Dera Ghazi Khan, Gujranwala and Hyderabad are not regular test centers. Test is taken in these cities if more than 200 candidates appear in the test from these cities. Applications after the due date will not be entertained. You can note the NTS GAT Subject Test schedule and dates 2019 from the table given below this post. You should appear in the test according the admission schedule of your desired university. 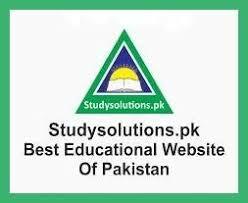 We are soon going to publish articles on writing thesis for M.Phil and PhD students so keep visiting studysolutions.pk for latest information about NTS, M.Phil and PHD. Feel free to ask any question about your preparation strategy.